MISSION ESL COMPUTER LAB: "The Bermuda Triangle" by Edcon Publishing. "The Bermuda Triangle" by Edcon Publishing. Bermuda Triangle: an area in the Atlantic Ocean formed by an imaginary line drawn from Florida to Bermuda to Puerto Rico and back to Florida. Longboat: The largest boat carried by a sailing vessel. This part of the Atlantic Ocean has been the setting for many strange disappearances. A mysterious part of the Atlantic Ocean is located off the east coast of the United States. This area is a three-sided part of the ocean known as the Bermuda Triangle. What is weird about this place is that it has been the location of numerous strange disappearances. Over one hundred ships and planes have vanished in this part of the world, according to records. The earliest known disappearance took place in 1609 when the Sea Venture, a ship bringing English settlers to the colony of Virginia, was wrecked near the island of Bermuda. The ship's longboat set sail to get help. It disappeared forever. In 1750, five Spanish treasure ships were caught in a storm here. Three of them disappeared without leaving any trace of wreckage. The next big mystery involved a French ship called the Rosalie, which was found abandoned and drifting. There was no sign of any struggle or battle. The Rosalie's sails were perfectly set in position, and all the cargo was still on board when the ship was found. The weird thing was that the entire crew was missing. 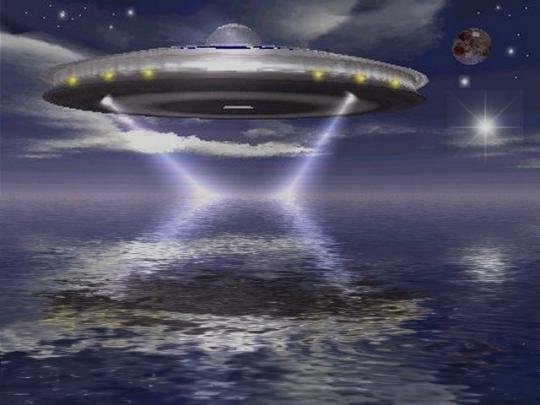 After 1945, numerous aircraft as well as ships began to be reported missing in the Bermuda Triangle. The most famous of these strange disappearances was that of five United States Navy training planes. These planes had full supplies of fuel when they left their base in Florida. After only an hour in the air, however, the control tower, with which they were in radio contact, received an unexpected message. The flight leader reported that he knew the aircraft were off their course, but he was completely unaware of their location. He said that the compasses, as well as all other instruments, were showing different readings, and that the pilots had no idea where they were. Although the day was clear, the pilots were not able to determine the position of the sun. They were unable to chart the course that would have led them to a safe landing. Within another hour, all radio contact was broken between the control tower and the five planes. An attempt was made to find the five missing planes and their crews. A group of rescue aircraft was sent searching. One of these, a twin -engined seaplane, had a crew of thirteen men on board. Again, the unexpected happened. Instead of receiving news of a sighting and rescue, the control base lost all contact with this plane also. No reason has ever been given for the strange way in which those six planes vanished. 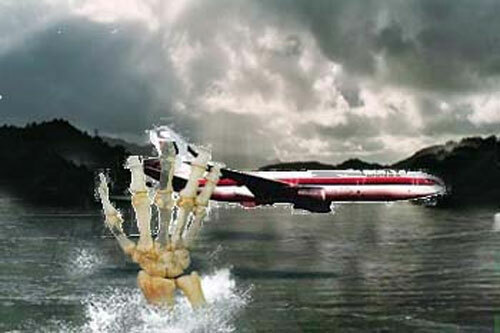 Since 1945, in addition to the six planes, other aircraft have been listed as missing in the Bermuda Triangle. In every case the reports state: "radio contact lost." The captain of a tugboat called the Good News reported an unusual experience in the area of the Triangle. He started out with the weather both calm and clear. Everything was working smoothly. Suddenly, a mysterious fog closed over the tug. Captain Don Henry stated that all the electrical power suddenly failed. He felt as if the whole boat were being pulled backward. He ordered full speed ahead anyway. Shortly after the tug moved out of the fog, the electrical power returned. The tug managed to reach port safely, although all the ship's batteries had gone dead. Even the flashlight batteries of some crew members had to be thrown away. In another interesting case, a pilot named Chuck Wakely described an unusual flight in the Bermuda Triangle in 1964. The wings of his plane suddenly began to glow and all the instruments began to behave in a weird way, failing to operate properly. After about five minutes, during which time he could do nothing to control his aircraft, the glow disappeared and the instruments began to work again. Numerous explanations have been offered to account for these happenings. Some of the theories are just as odd as the events themselves. One theory is that there is a large underwater chunk of iron in the area that acts as a magnet upon any metal instruments that may be near. This would explain why compasses sometimes behave so peculiarly on ships and planes traveling in the Triangle. A third suggestion is that the Triangle may be a place where warm ocean currents and cold ocean currents meet and cause the tides to turn in different directions. This, it is said, may cause the earth's magnetic force to behave in an unexpected way in the Bermuda Triangle. Perhaps the weirdest theory of all is the one which scientists believe the least. This theory involves beings from another planet. According to this explanation, visitors from outer space have made a landing on our planet. 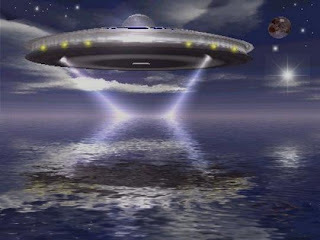 The Bermuda Triangle is a kind of doorway through which they pull ships and aircraft that they wish to study. What do you think about these strange disappearances? Is there some tie among them all? Or is the fact that they all took place in the same location just a matter of chance? 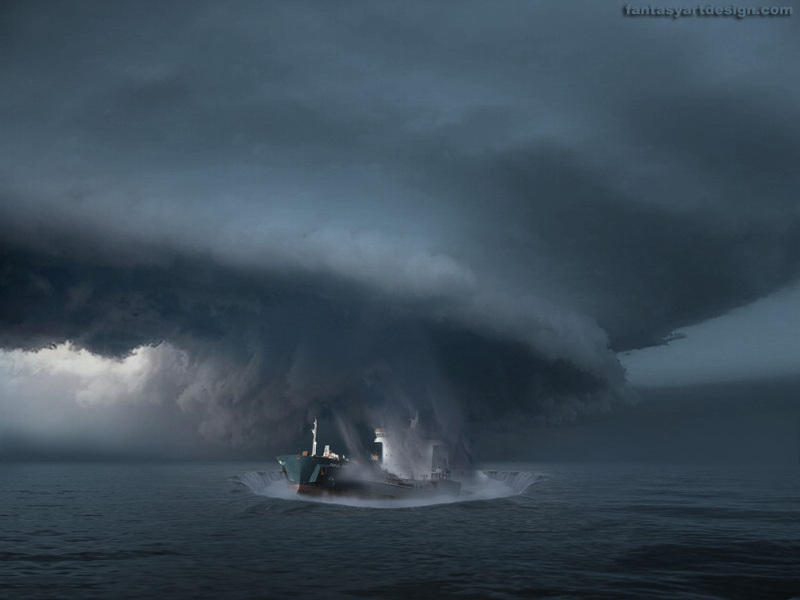 Many people refuse to travel through the Bermuda Triangle because they are afraid. They are willing to spend extra time or money to take a less direct route when traveling. Others laugh at the notion of mysterious forces at work. They purposely choose to sail or fly through the area. How about you? Would you dare to travel through the mysterious Bermuda Triangle, or would you avoid it? a. in the colony of Virginia. c. in the Bermuda Triangle. d. in the eastern United States. a. more than ever before. b. less than ever before. c. about the same as before. d. about half as much as before. a. acts as a magnet. d. causes tides to turn. a. scientists believe the most. b. scientists believe the least. d. no one believes at all. a. it is out of their way. b. it costs too much money. a. avoid the Bermuda Triangle. b. laugh at the notion of strange forces at work. c. take a less direct route when traveling. 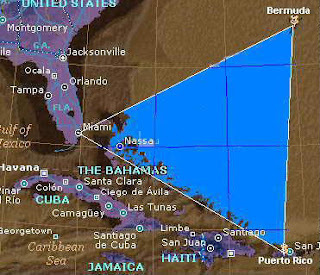 d. continue to study the Bermuda Triangle. a. "Doorway to Another Planet." b. "Mystery in the Atlantic Ocean." b. a three-sided part of the Atlantic Ocean. d. the forces of gravity. The following video is from Youtube. It tells the story of a missing airplaine, Flight 19.